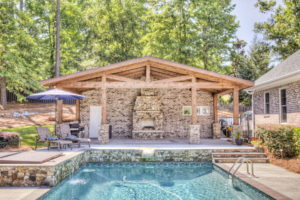 Amazing New Outdoor Kitchen by the Dalzell Design team! 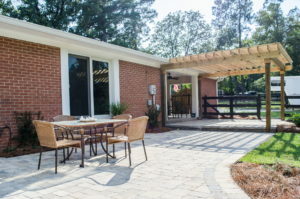 We wanted to show everyone some of the final photos of our beautiful new outdoor kitchen/living space project we recently completed for a client in Bartram Trail Subdivision in Evans! 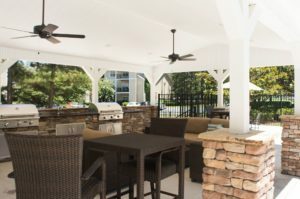 We installed the gorgeous covered outdoor space with a rock fireplace, a new grilling area, beautiful countertops, and lighting. 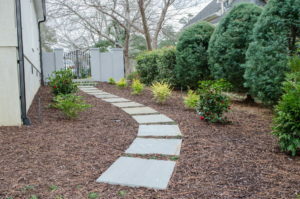 We also added a retaining wall and walkway back to the home. This is going to be such a wonderful space for this family to enjoy all year round! 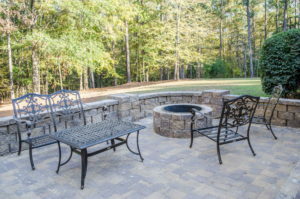 Are you ready for the Dalzell Design team to transform your outdoor space into a place your family will love this summer? 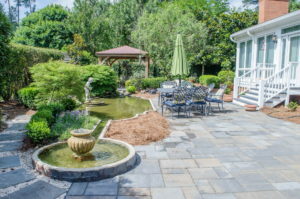 Give us a call today to schedule your consultation at 803-279-2775!